Google Tag Manager is a free tool that eliminates tedious code-editing tasks that formerly required a developer. Ease of useGTM enables team members to make updates and add new tags quickly and easily, without complex code changes to the site. Easy updates and a future-proofed websiteGTM makes future upgrades and enhancements much simpler, since modifications can be made through the interface and not on each page of your website. In addition, if you’re considering upgrading to Universal Analytics, GTM’s upgrades will make the gradual transition much easier. Version controlA new, archived version is created every time you publish a change through GTM, making it easy to rollback to a former version at any moment. It keeps tags organized; makes troubleshooting simple; and allows you to easily implement similar installations on new GTM containers. 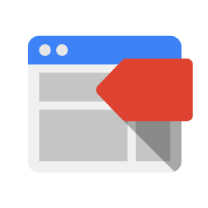 Built-in tagsGTM comes with a number of important built-in tags for classic and Universal Analytics, AdWords conversions, remarketing, and more. This allows a marketing team that lacks coding experience to customize tags with just a few pieces of key information, without implementing complicated code or enlisting the help of a developer. Functions with Google AnalyticsSpeaking of built-in tags, GTM also allows you to install a basic implementation of Google Analytics via Google Tag Manager. GTM includes a tag template that gives you all the options you would have had in your previous Google Analytics implementation. It’s compatible with older onsite code for event tracking, page views, and cross domain tracking. Event trackingGTM auto-event tracking feature eliminates the need to manually tag each link you want to track.